// All files with a '.js' extension will be handled by 'babel-loader'. 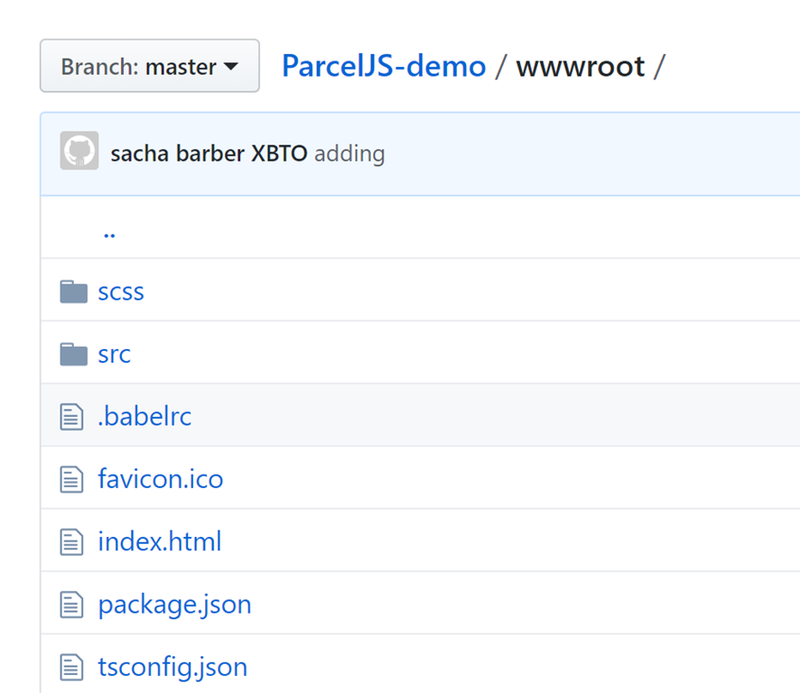 So I was working with our in-house web expert, who said “hey you should have a look at ParcelJS, it’s much easier than WebPack”. This is the HTML file I use for the app. Notice how there is NO CSS / JS in the head section at all. All there is, is a single reference to the main entry point JSX file Index.tsx. That is it. What Does It Actually Produce With This Magic? Lets just take a breather there. 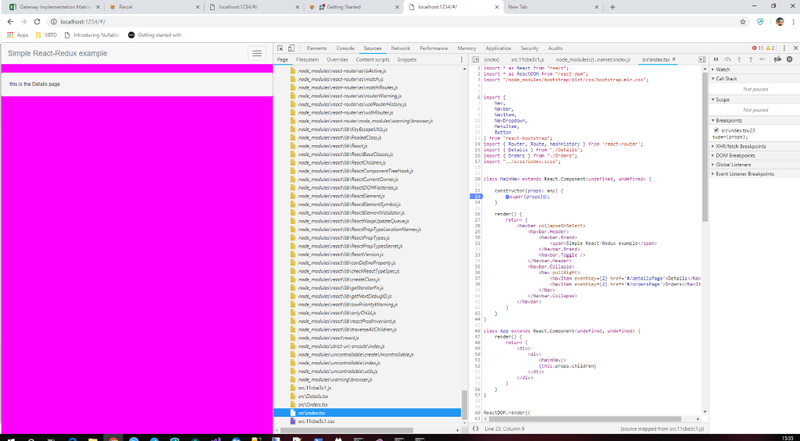 I did not write one single line of config (go check out the Webpack.config file again), I seem to have the same functionality as that, without writing one line of stuff. That’s pretty A-MAZING if you ask me. I have to say it does what it says on the tin. 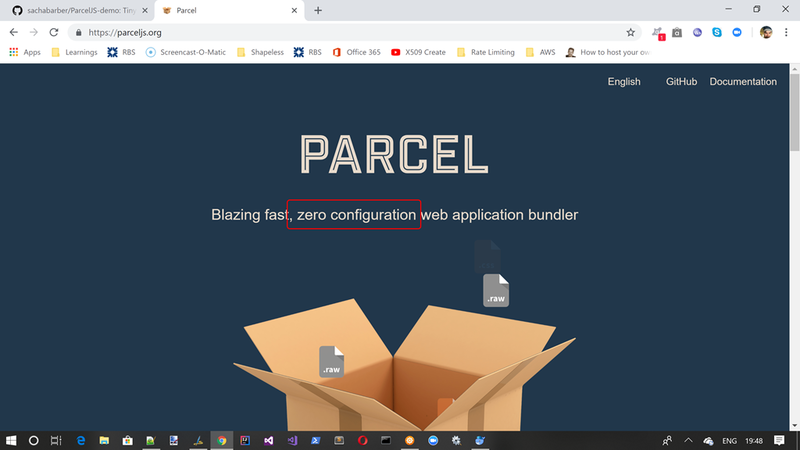 I guess if you want really fine grained control over EVERYTHING, WebPack will do you proud, but if you are happy with some BLOODY SENSIBLE DEFAULTS being applied I have to say I was up and running with Parcel in minutes. 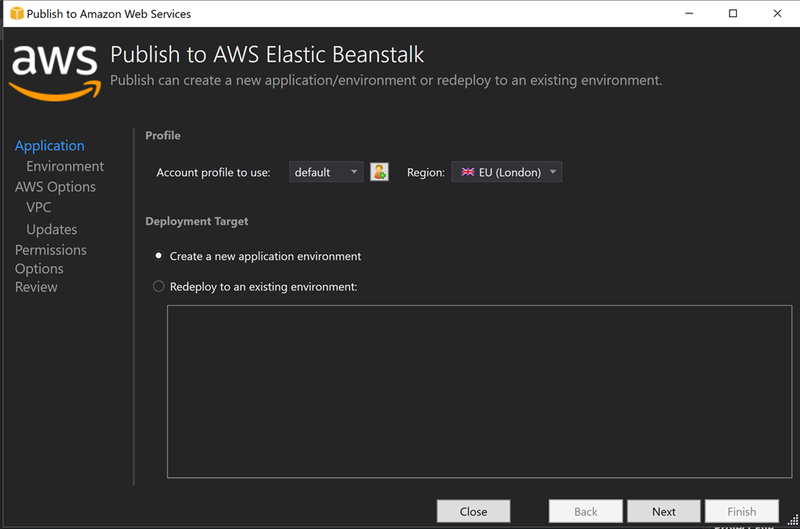 Elastic Beanstalk is one of the AWS compute services. It comes with several platform languages supported. In other languages such as Java there is a web kind of role and a worker kind of role. However for .NET there is ONLY a IIS web kind of role. 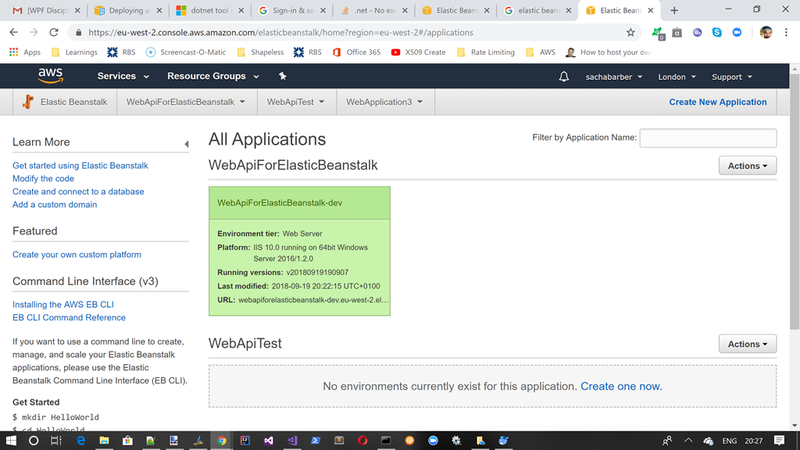 However don’t let that put you off, The whole planet like web sites of late it would seem, and it just so happens Elastic Beanstalk is a perfect fit for these type of apps. 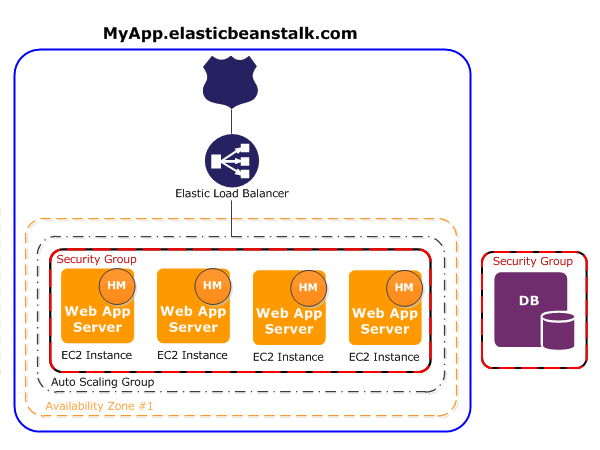 It can be seen that EC2 instance are part of an Auto Scale Group (scalability) and we also get a load balancer out of the box with a single URI endpoint for our Elastic Beanstalk app, which will load balance amongst the running web apps hosted on the EC2 instances which are all running the web app. This is quite a lot of stuff that is good to have for free. This sort of stuff is quite hard to configure by yourself, so this is quite cool. 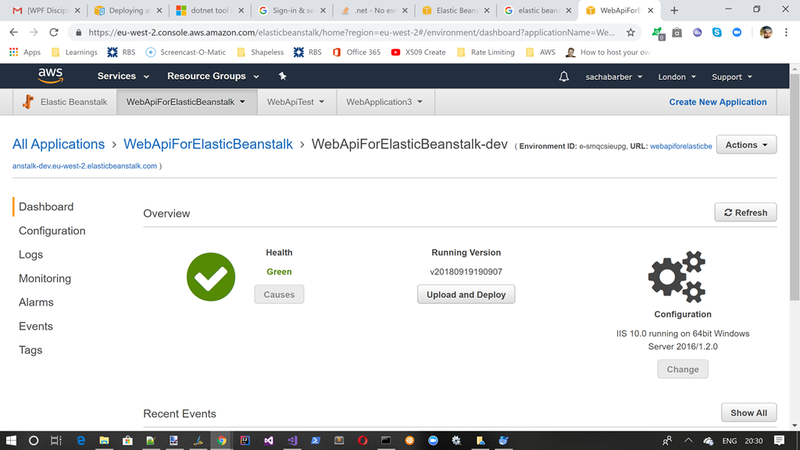 So when you create a new .NET Core Web App (The demo uses a standard .NET Core WebApi project) you can publish it straight to Elastic Beanstalk straight from Visual Studio. 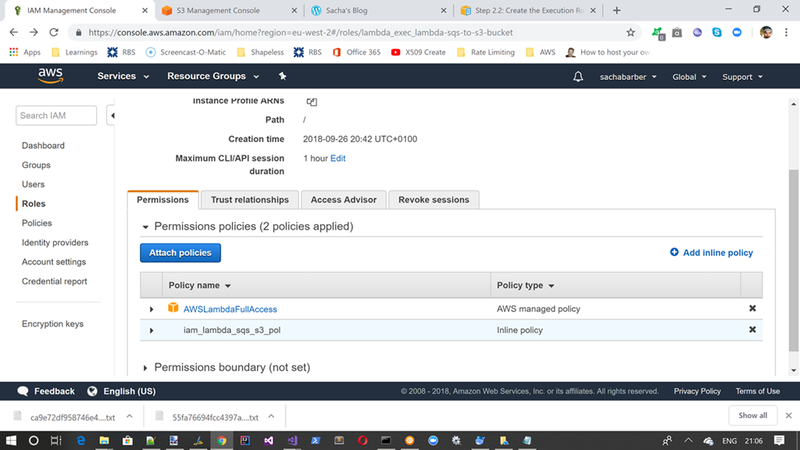 Instance security group – An Amazon EC2 security group configured to allow ingress on port 80. 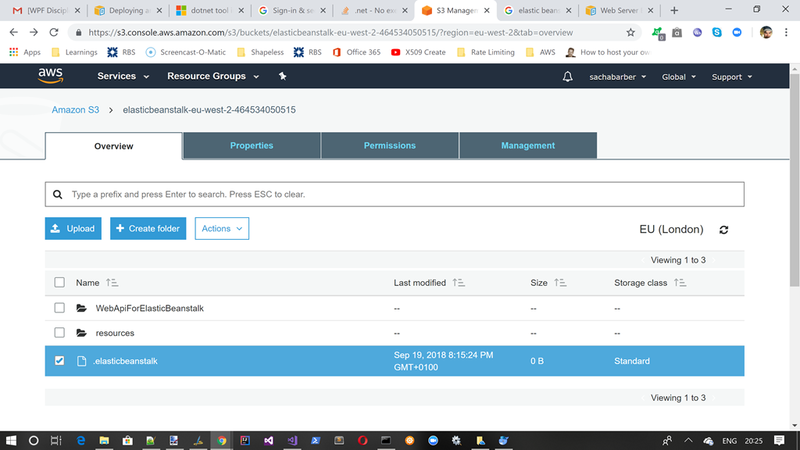 This resource lets HTTP traffic from the load balancer reach the EC2 instance running your web app. By default, traffic isn’t allowed on other ports. 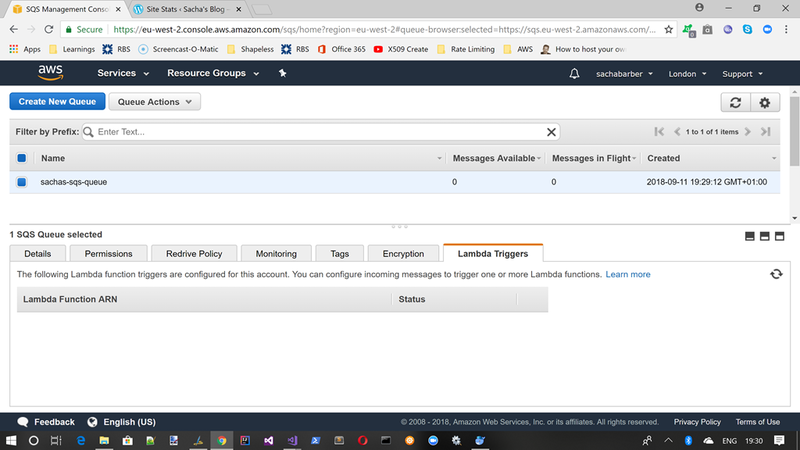 Load balancer security group – An Amazon EC2 security group configured to allow ingress on port 80. This resource lets HTTP traffic from the internet reach the load balancer. By default, traffic isn’t allowed on other ports. 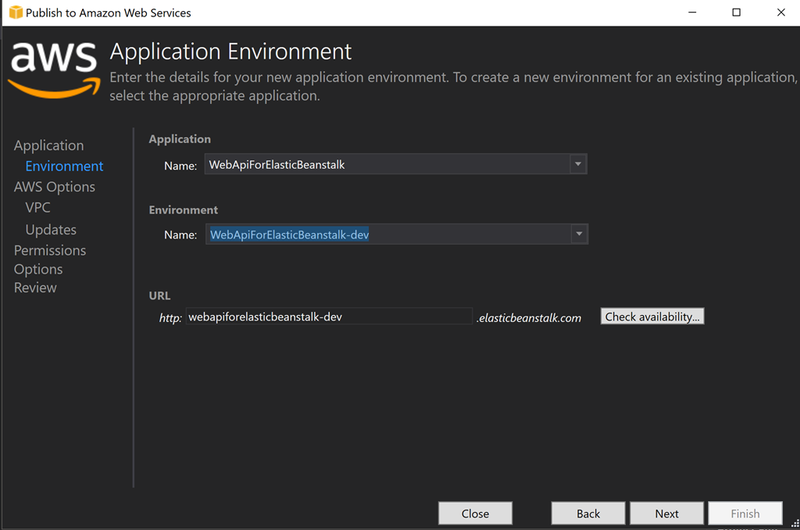 Domain name – A domain name that routes to your web app in the formsubdomain.region.elasticbeanstalk.com. Then use the Actions button at the top right, we can save this environment, so we can use this as a blueprint for a new environment. So last time we talked about SQS, and we saw that if you had multiple consumers, it was whoever managed to read the message from the queue first would be the one and only possible consumer of a message. Kinesis is very different to this. 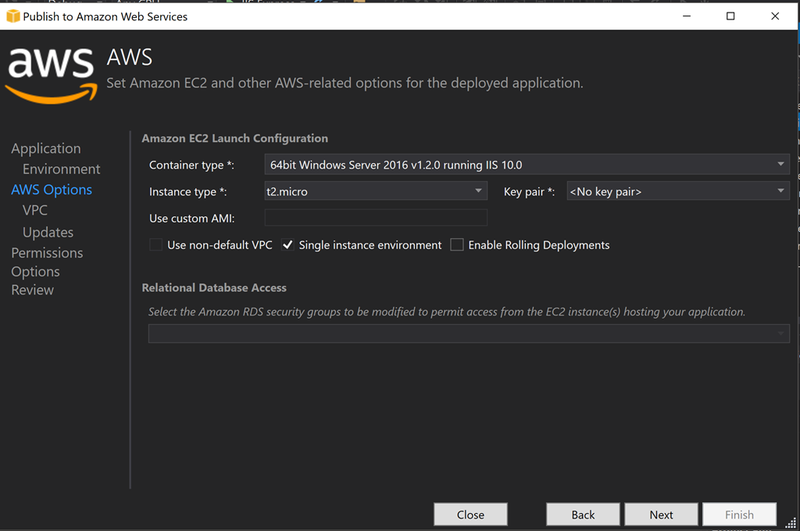 Amazon Kinesis is a fully managed, cloud-based service for real-time data processing over large, distributed data streams. 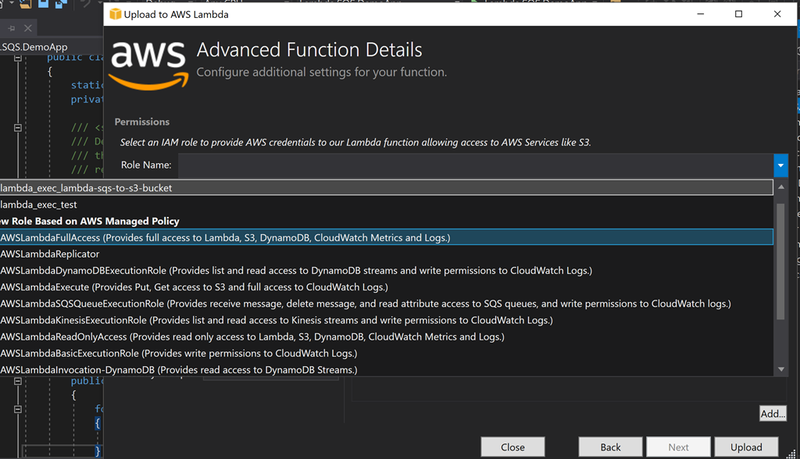 With Amazon Kinesis, data can be collected from many sources such as website clickstreams, IT logs, social media feeds, billing related transactions, and sensor readings from IoT devices. 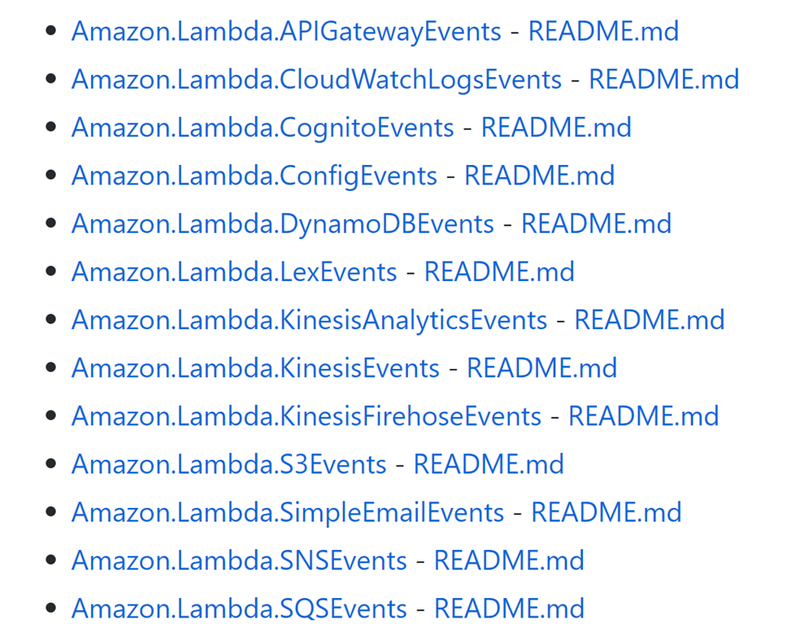 After data has been stored in Amazon Kinesis, you can consume and process data with the KCL for data analysis, archival, real-time dashboards, and much more. 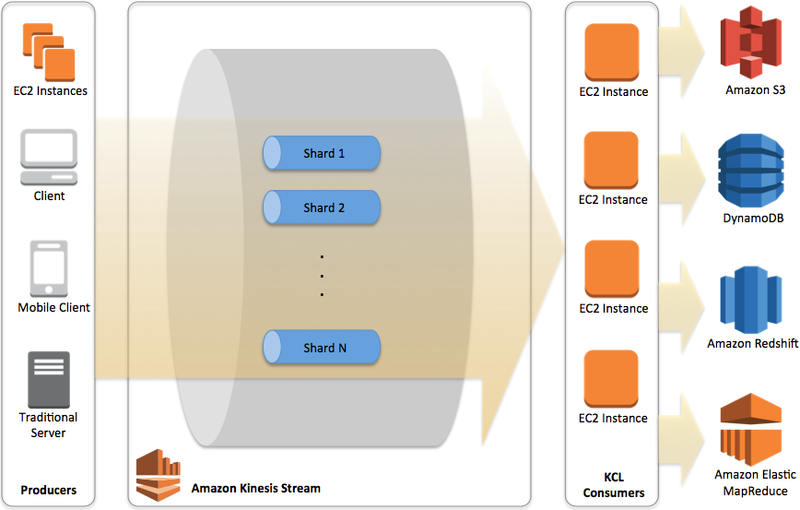 While you can use Amazon Kinesis API functions to process stream data directly, the KCL takes care of many complex tasks associated with distributed processing and allows you to focus on the record processing logic. For example, the KCL can automatically load balance record processing across many instances, allow the user to checkpoint records that are already processed, and handle instance failures. 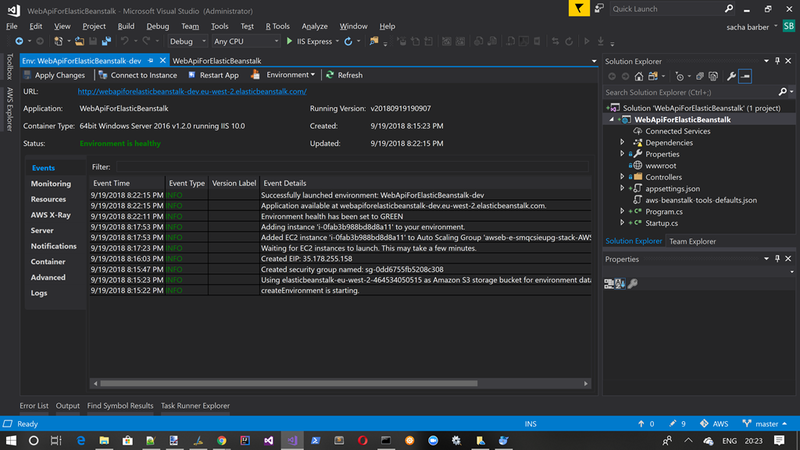 C# support for the KCL is implemented using the MultiLangDaemon. The core of the KCL logic (communicating with Amazon Kinesis, load balancing, handling instance failure, etc.) 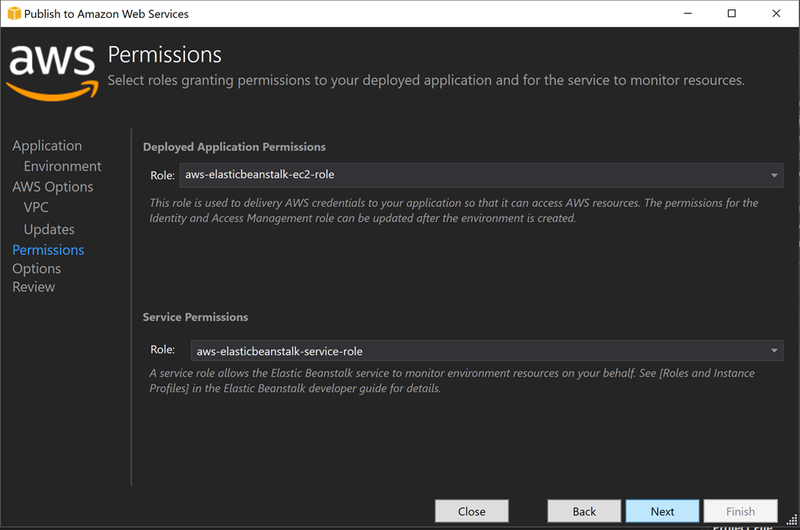 resides in Java, and Amazon KCL for C# uses the multi-language daemon protocol to communicate with the Java daemon. This is all stuff you would expect to find in a decent stream based API. Like I say if you want a top of the line streaming service, Kafka is your guy. 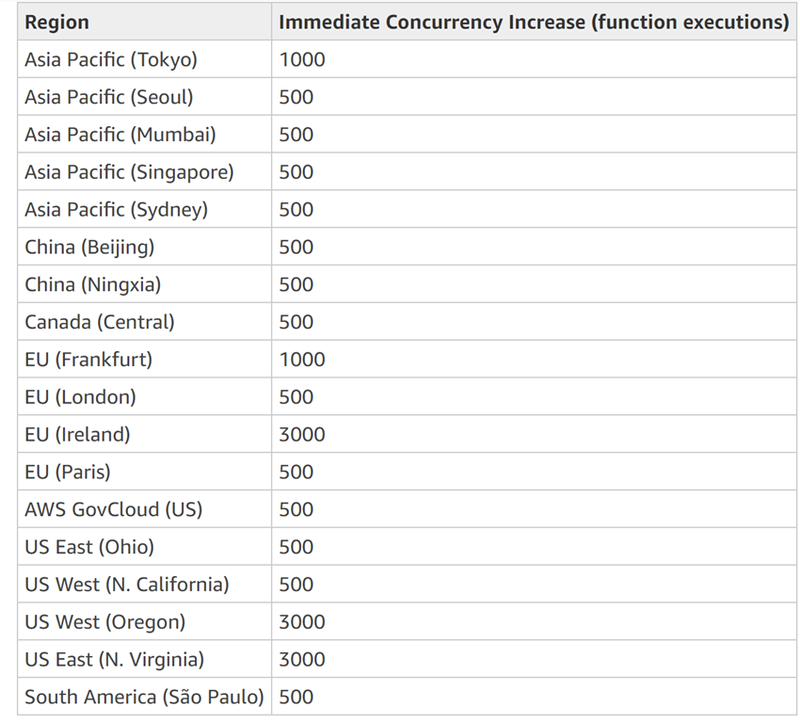 But we are talking about AWS Kinesis so lets carry on the post for now. 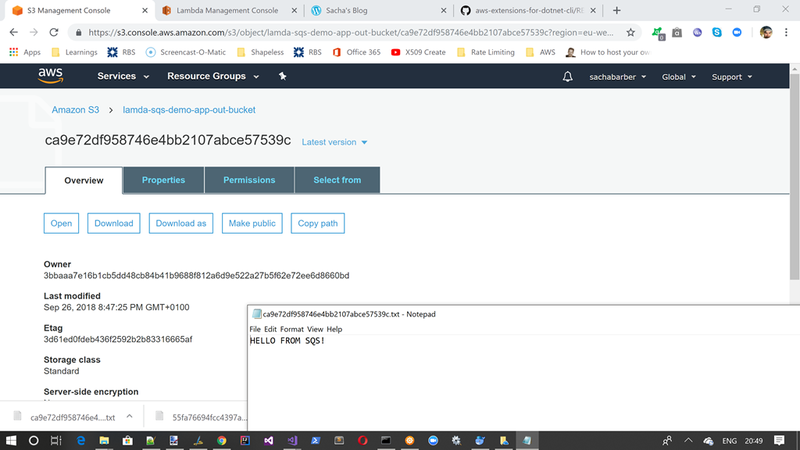 As this is just demo code for me, I was ok with using full access, in practice it may be good to have a dedicated producer IAM user/consumer IAM user. 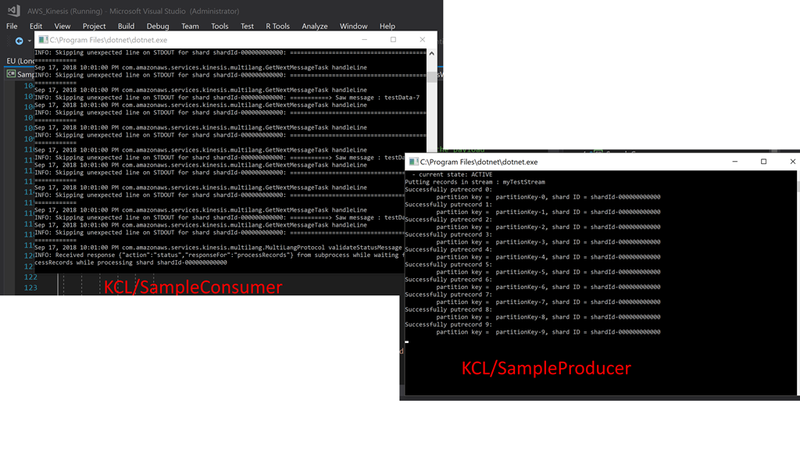 Ok so as I stated above there are 2 consumer libraries that can be used with Kinesis, however the producer code is the same for both. So lets see an example of what a typical Producer looks like. /// A sample producer of Kinesis records. // Write 10 UTF-8 encoded records to the stream. /// This method waits a maximum of 10 minutes for the specified stream to become active. Which seems easy enough. However its not that easy, the bulk of the KCL is written in Java, and the .NET KCL communicates with the Java Daemon over StdIn/StdOut/StdError. As such there are quite a few steps you must follow to get a working C# KCL app up and running. * Copyright 2015 Amazon.com, Inc. or its affiliates. All Rights Reserved. * Licensed under the Amazon Software License (the "License"). /// A sample processor of Kinesis records. /// are delivered to this SampleRecordProcessor. /// This method processes the given records and checkpoints using the given checkpointer. /// ProcessRecordsInput that contains records, a Checkpointer and contextual information. /// This shuts down the record processor and checkpoints the specified checkpointer. /// as well as a Checkpointer. // Checkpoint after reaching end of shard, so we can start processing data from child shards. /// This method processes records, performing retries as needed. // is interpreted as UTF-8 characters. // Uncomment the following if you wish to see the retrieved record data. // Your own logic to process a record goes here. //Back off before retrying upon an exception. /// This checkpoints the specified checkpointer with retries. // You can optionally provide an error handling delegate to be invoked when checkpointing fails. // will not be retried, but processing will continue. /// This method creates a KclProcess and starts running an SampleRecordProcessor instance. 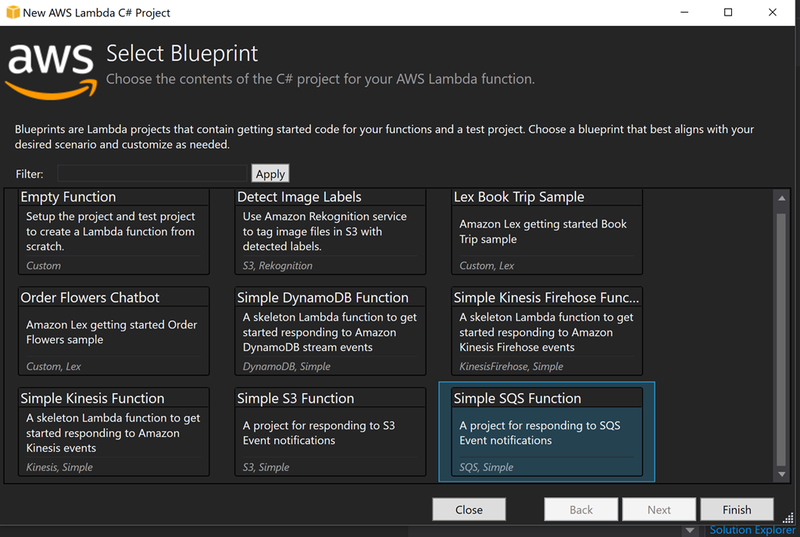 While you can use Amazon Kinesis API functions to process stream data directly, the KCL takes care of many complex tasks associated with distributed processing and allows you to focus on the record processing logic. For example, the KCL can automatically load balance record processing across many instances, allow the user to checkpoint records that are already processed, and handle instance failures. 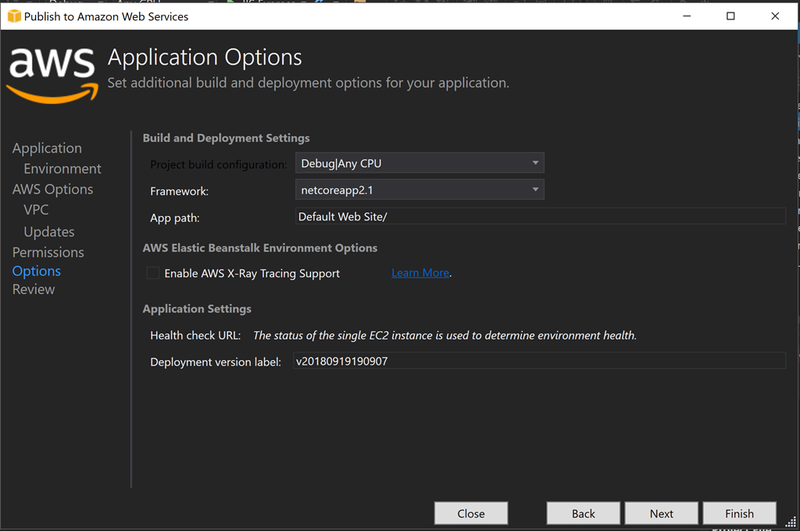 How do we deploy a KCL .NET Core App to AWS? dotnet eb deploy-environment --publish-options "--runtime win-x64"
Ok so how does SQS File System work? What is it? Obviously if you are working in a team you will not want to give out full access, but for this series of posts this is fine. So what will we try and cover in this post? We are devs though right? So how do we do this stuff programmatically? What this shows us is that once a message is marked as received, the message is gone, it is not available to another thread or process. 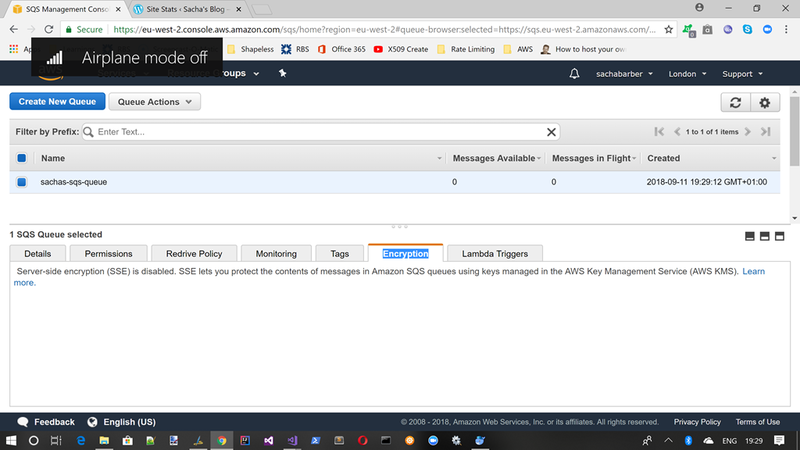 AWS also supports another type of messaging service called Kinesis, which works a bit more like Apache Kafka and Azure EventHub, where each consumer/receiver has to mark their own offset into the message log. This is quite useful for things like Event Sourcing, but it is a little out of scope for this post. I will be talking about Kinesis in the next post, so lets leave this discussion until then. 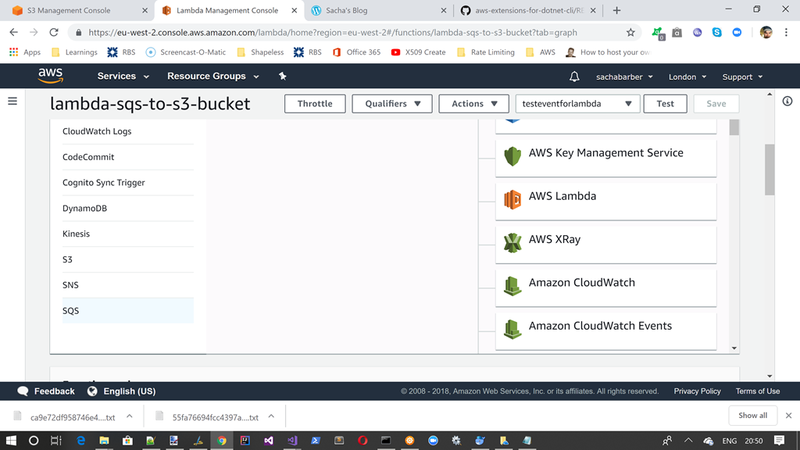 This time we are going to talk about AWS S3 TransferUtility. This is a fairly simple utility class, and as such this is not going to be a long post. 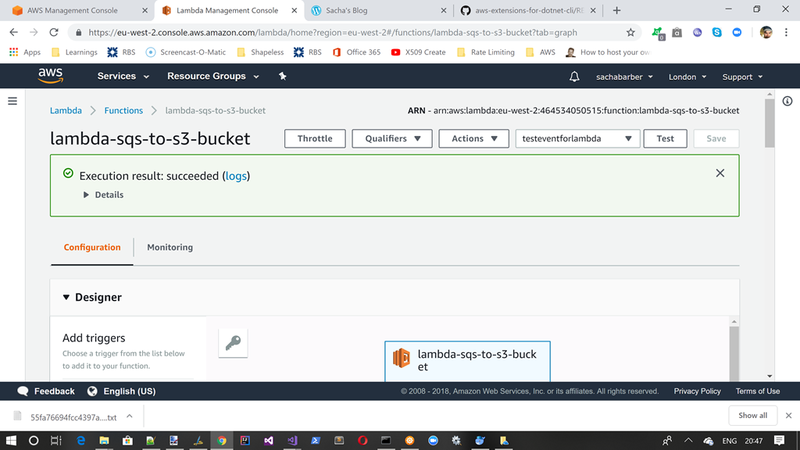 Provides a high level utility for managing transfers to and from Amazon S3. 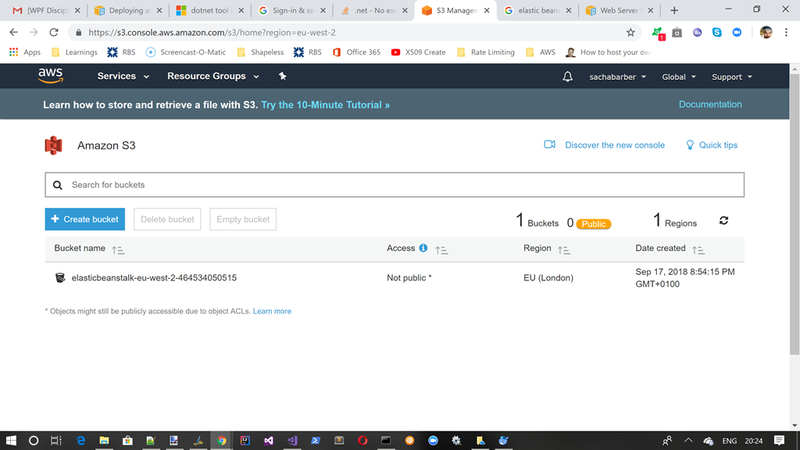 TransferUtility provides a simple API for uploading content to and downloading content from Amazon S3. It makes extensive use of Amazon S3 multipart uploads to achieve enhanced throughput, performance, and reliability. 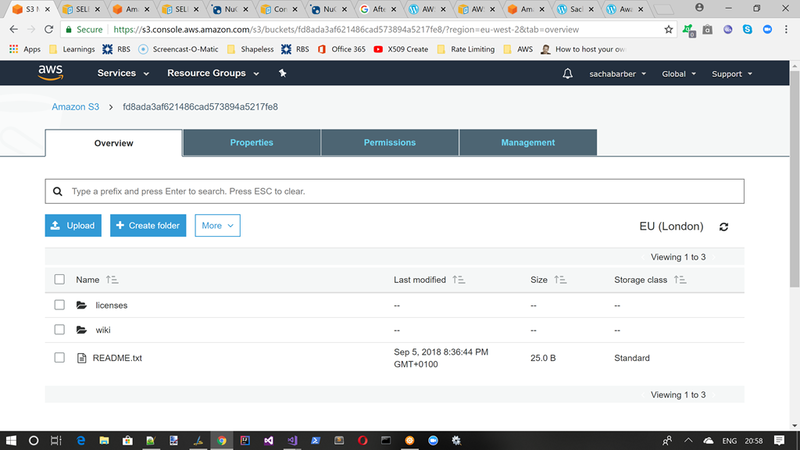 When uploading large files by specifying file paths instead of a stream, TransferUtility uses multiple threads to upload multiple parts of a single upload at once. When dealing with large content sizes and high bandwidth, this can increase throughput significantly. 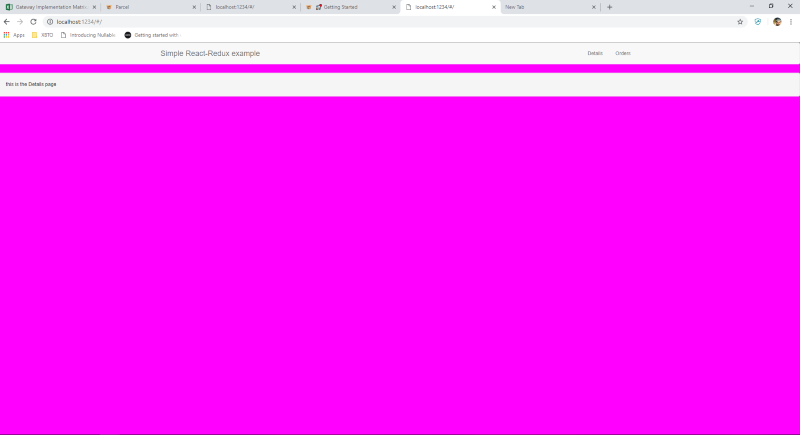 So now that we have uploaded something, it would be reasonable to be able to get a StreamReader to read from the S3 object as Stream, where we do not take the hit of reading the entire object into memory in one go. Obviously as this is just a demo I know what I uploaded to be VERY small, so we just read the entire Stream into memory. To my mind the last thing you may want to do is to actually download the data as a Stream to a local file. This time we use the TransferUtility.DownloadAsync to download to a file of our choosing. In this contrived example we then read out the saved file contents just to print it out. As before as its my own code, I know the content is tiny, so we can read entire Stream into memory. //     notified when a new progress event is raised. //     been downloaded as well as how much will be downloaded. //     Subscribe to this event if you want to receive WriteObjectProgressEvent notifications. 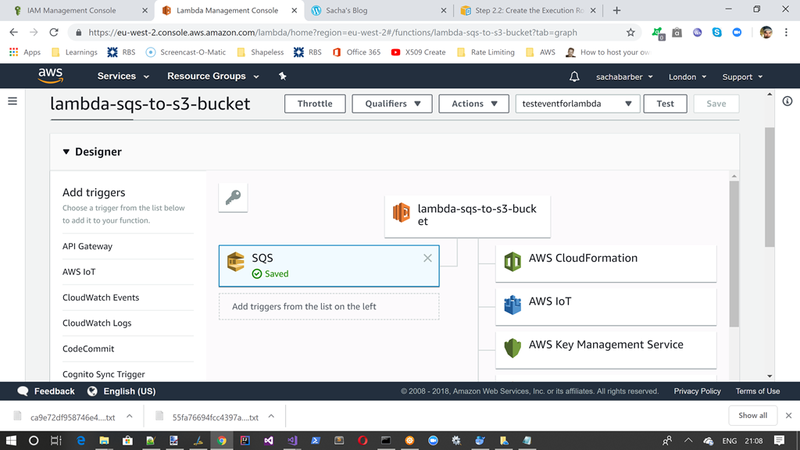 This time we are going to talk about AWS S3 fie system. 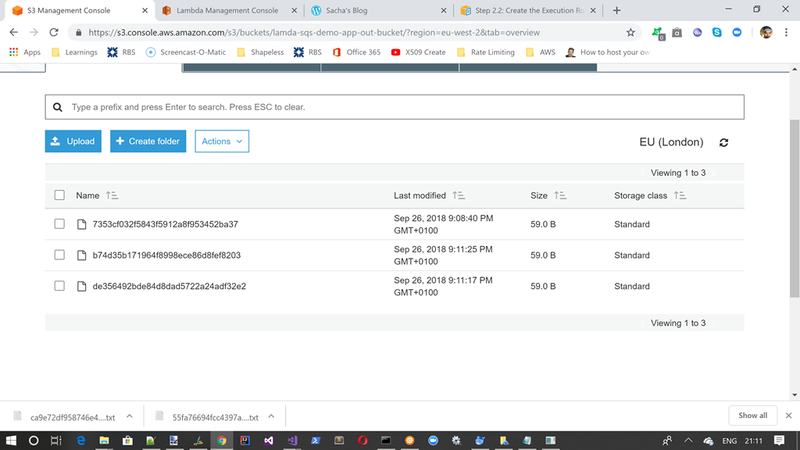 This builds upon what we have covered in the last couple of posts, and will show you how you can leverage your own filesystem and AWS S3 filesystem. Ok so how does S3 File System work? As we have already seen in the previous post S3 has a concept of buckets, and files. Thing is we can also use S3 to create file system like hierarchies, and place new directories/subdirectories and files in them. 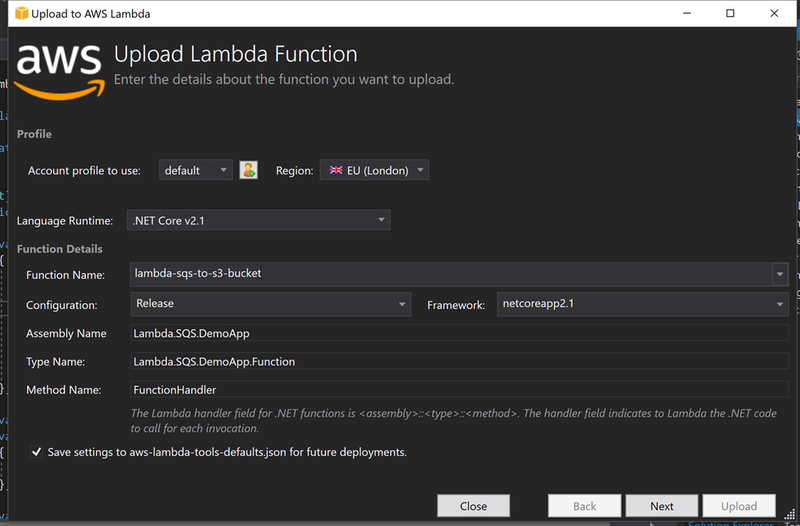 There is also a decent set of APIs to make it feel much like working with a regular file system in .NET. Since this is just a bit more about AWS S3 in essence, I will skip what I have already said about buckets etc etc. The S3DirectoryInfo for the root of the S3 bucket. Copies files from the local file system to S3 in this directory. Sub directories are copied as well. Copies files from the local file system to S3 in this directory. Sub directories are copied as well. Only files that have been modified since the changesSince property will be copied. 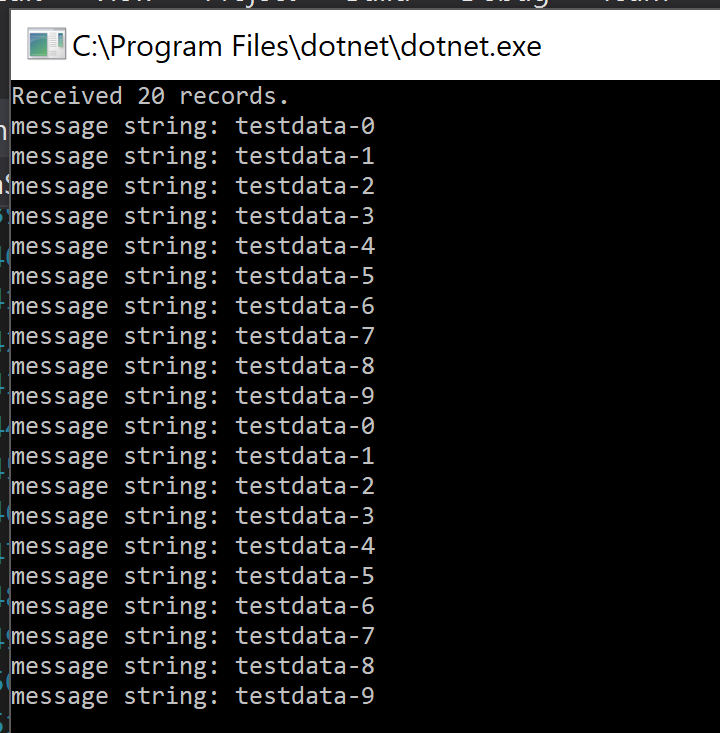 Copies the files from this directory to the target directory specified by the bucket and object key. Copies the files from this directory to the target directory specified by the bucket and object key. Only files that have changed since the changeSince date will be copied. Copies the files from this directory to the target directory. Copies the files from this directory to the target directory. Only files that have changed since the changeSince date will be copied. Copies the files from the S3 directory to the local file system in the location indicated by the path parameter. Copies the files from the S3 directory to the local file system in the location indicated by the path parameter. Only files that have been modified since the changesSince property will be copied. 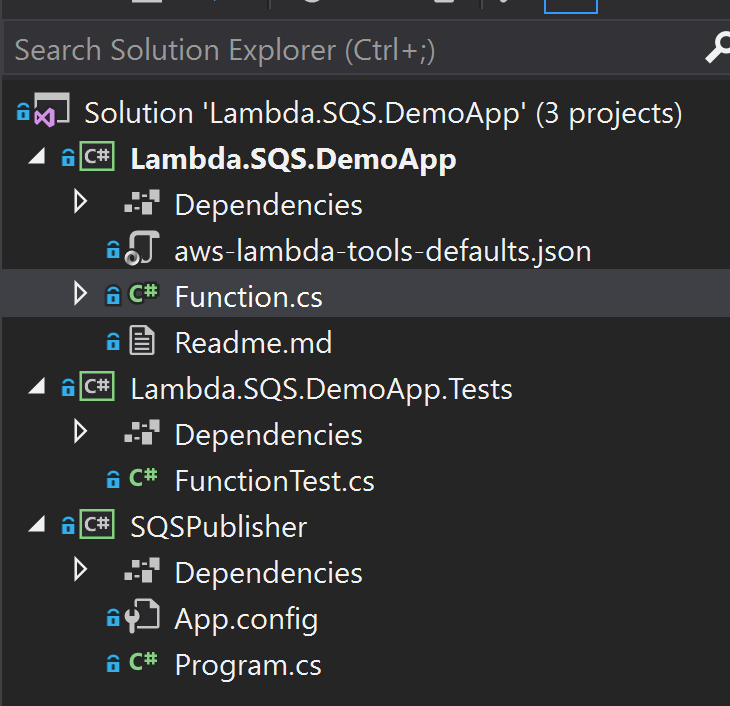 Creates the directory in S3. If no object key was specified when creating the S3DirectoryInfo then the bucket will be created. 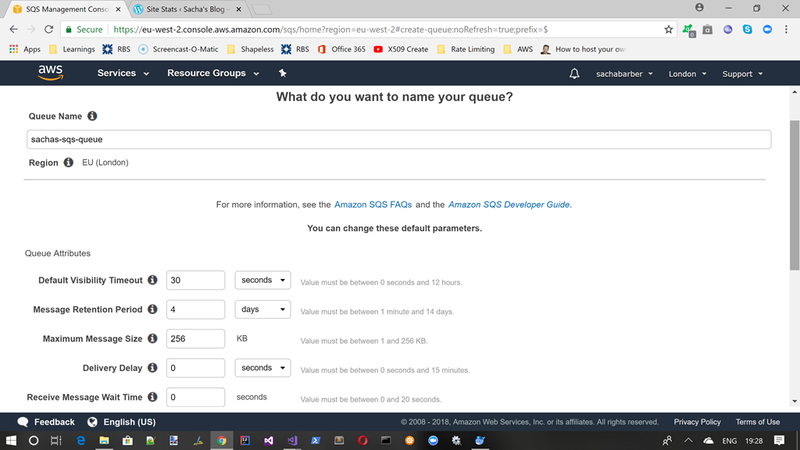 Creates a sub directory inside the instance of S3DirectoryInfo. Deletes all the files in this directory as well as this directory. Deletes all the files in this directory as well as this directory. If recursive is set to true then all sub directories will be deleted as well. Enumerate the sub directories of this directory. Enumerate the files of this directory. Checks with S3 to see if the directory exists and if so returns true. 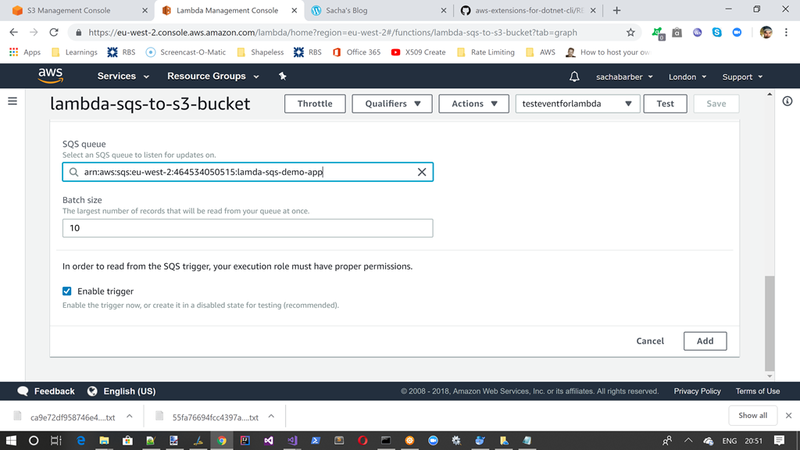 Due to Amazon S3’s eventual consistency model this property can return false for newly created buckets. The full path of the directory including bucket name. Returns an array of S3DirectoryInfos for the directories in this directory. Returns the S3DirectoryInfo for the specified sub directory. Returns the S3FileInfo for the specified file. 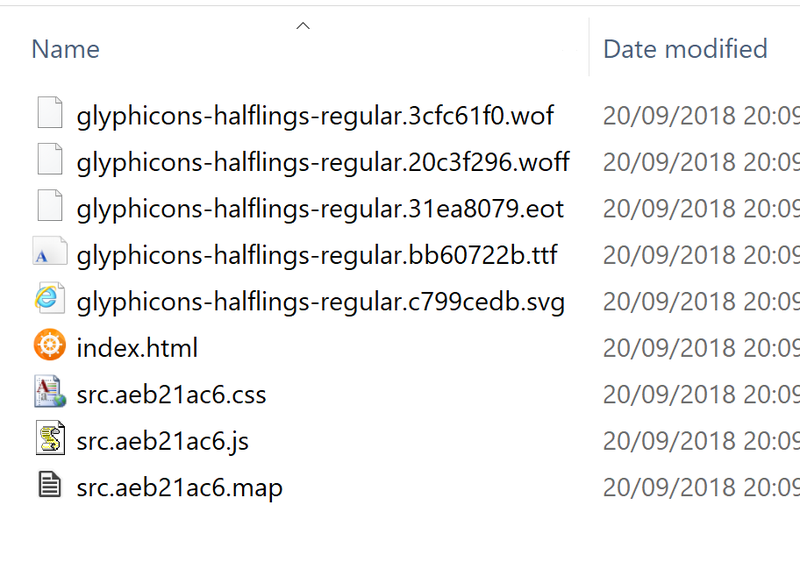 Returns an array of S3FileInfos for the files in this directory. Returns an array of IS3FileSystemInfos for the files in this directory. Returns the last write time of the the latest file written to the directory. UTC converted version of LastWriteTime. Moves files from the local file system to S3 in this directory. Sub directories are moved as well. Moves the files from this directory to the target directory specified by the bucket and object key. Moves the files from this directory to the target S3 directory. Moves the files from the S3 directory to the local file system in the location indicated by the path parameter. Returns the name of the folder. Return the S3DirectoryInfo of the parent directory. Returns the S3DirectroyInfo for the S3 account. Copies the file from the local file system to S3. If the file already exists in S3 than an ArgumentException is thrown. Copies the file from the local file system to S3. If the file already exists in S3 and overwrite is set to false than an ArgumentException is thrown. Copies this file’s content to the file indicated by the S3 bucket and object key. If the file already exists in S3 than an ArgumentException is thrown. Copies this file’s content to the file indicated by the S3 bucket and object key. If the file already exists in S3 and overwrite is set to false than an ArgumentException is thrown. Copies this file to the target directory. If the file already exists in S3 than an ArgumentException is thrown. Copies this file to the target directory. If the file already exists in S3 and overwrite is set to false than an ArgumentException is thrown. Copies this file to the location indicated by the passed in S3FileInfo. If the file already exists in S3 than an ArgumentException is thrown. Copies this file to the location indicated by the passed in S3FileInfo. If the file already exists in S3 and overwrite is set to false than an ArgumentException is thrown. Copies from S3 to the local file system. If the file already exists on the local file system than an ArgumentException is thrown. Copies from S3 to the local file system. If the file already exists on the local file system and overwrite is set to false than an ArgumentException is thrown. Returns a Stream that can be used to write data to S3. The content is persisted to S3 once the Stream is closed. Returns a StreamWriter that can be used to write data to S3. The content is persisted to S3 once the StreamWriter is closed. The full name of parent directory. Checks S3 if the file exists in S3 and return true if it does. Returns the full path including the bucket. Returns the last time the file was modified. Returns the last time the fule was modified in UTC. Returns the content length of the file. Moves the file from the local file system to S3 in this directory. If the file already exists in S3 than an ArgumentException is thrown. Moves the file from the local file system to S3 in this directory. If the file already exists in S3 and overwrite is set to false than an ArgumentException is thrown. Moves the file to a a new location in S3. Moves the file from S3 to the local file system in the location indicated by the path parameter. Returns the file name without its directory name. Returns a Stream for reading the contents of the file. Returns a StreamReader for reading the contents of the file. Returns a Stream for writing to S3. If the file already exists it will be overwritten. Replaces the destination file with the content of this file and then deletes the orignial file. If a backup location is specifed then the content of destination file is backup to it. Replaces the destination file with the content of this file and then deletes the orignial file. If a backupDir is specifed then the content of destination file is backup to it. Replaces the destination file with the content of this file and then deletes the orignial file. If a backupFile is specifed then the content of destination file is backup to it. Replaces the content of the destination file on the local file system with the content from this file from S3. If a backup file is specified then the content of the destination file is backup to it.